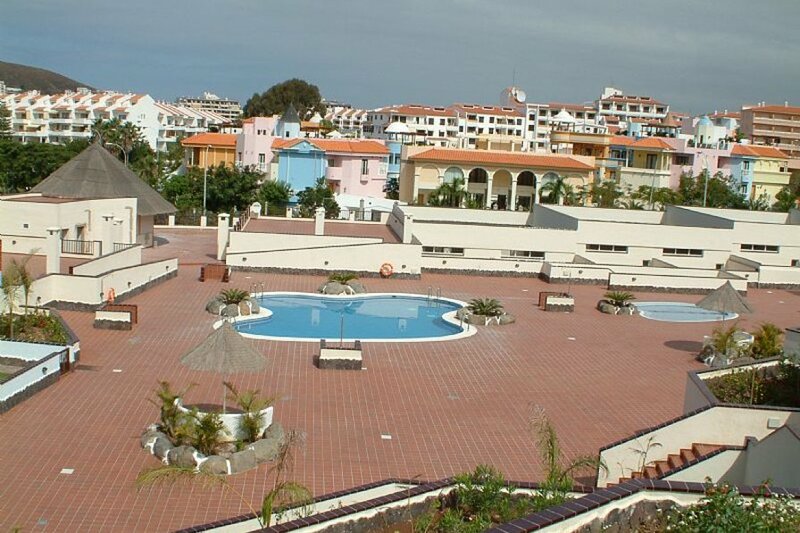 The property is in a quiet location on a lovely clean complex with shops,bars and restaurants all within 100 yards walking distance and a 10 minute stroll to the beach and resort centre. The apartment is ground floor with large patio area ,1 bedroom with 2 single beds . . It is decorated to a high standard with fully equipped kitchen, satellite TV with English channels, DVD player and radio. There are 3 swimming pools on the complex 1 with salt water. It's suitable for wheelchair users and also pushchairs with no steps to climb. Transfer from the airport is 15 minutes by taxi which will drop you off at the main gate with the apartment facing costing 20 to 25 euros one way. There is also a taxi rank just at the end of the complex. The supermarket is at the end of the road selling everything you need for self catering, next to this is a money exchange bureau where you can also book excursions to all the theme parks with free shuttle bus. The restaurants range from English, Italian, Spanish, Chinese ,Indian, Thai and Mongolian all reasonable prices with a pint of beer costing 1 euro per pint.